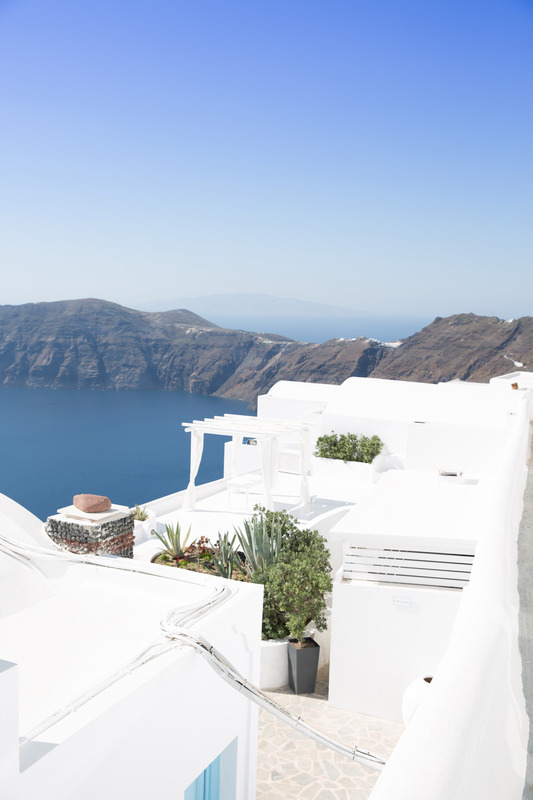 Santorini is one of the most beautiful places in the whole planet for its rare natural beauty that every traveller should see once in a lifetime. ⇒ The island sits in the water-filled caldera of a massive volcano that is thought to have ended Minoan civilisation on Crete. 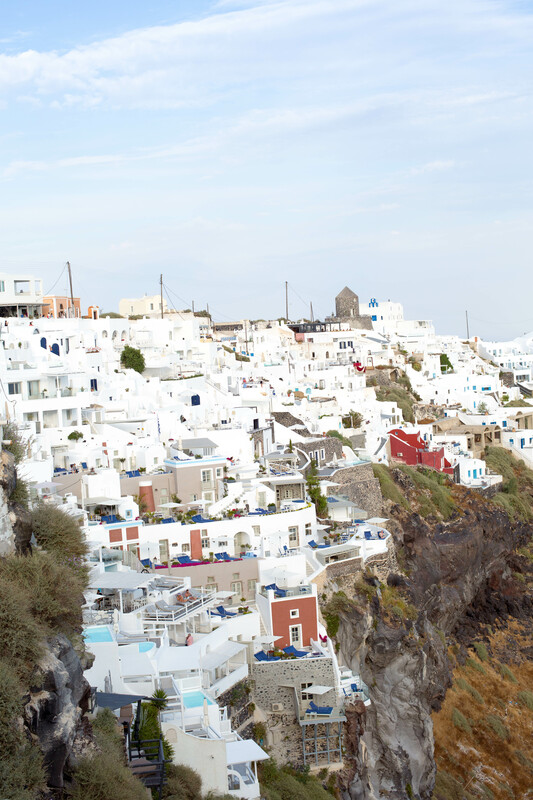 ⇒ Due to its volcanic past, Santorini has white, black, AND red beaches. 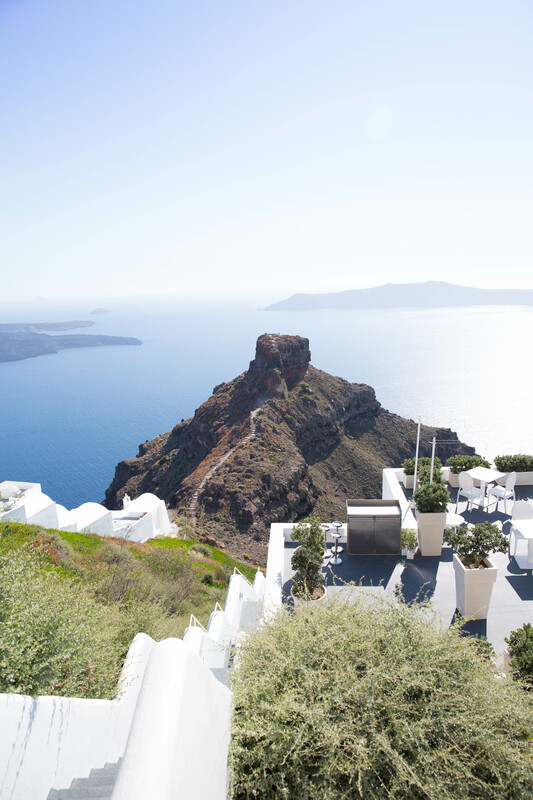 ⇒ Despite a harsh, dry climate, Santorini has a flourishing wine industry. 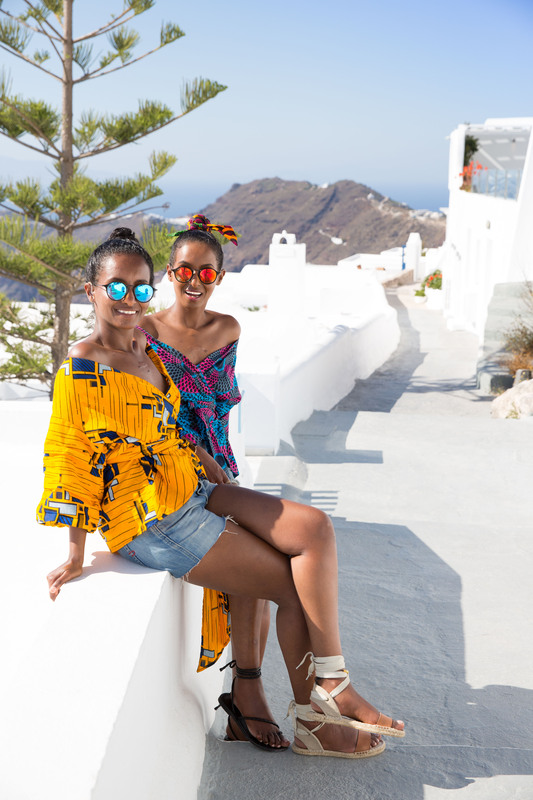 We have always wanted to visit Santorini for years, became obsessed with the idea of visiting Santorini after seeing so many pictures on Instagram and other social media. We knew it was going to be ridiculously expensive, but we were determined to visit there on a budget and managed to find a fantastic deal! 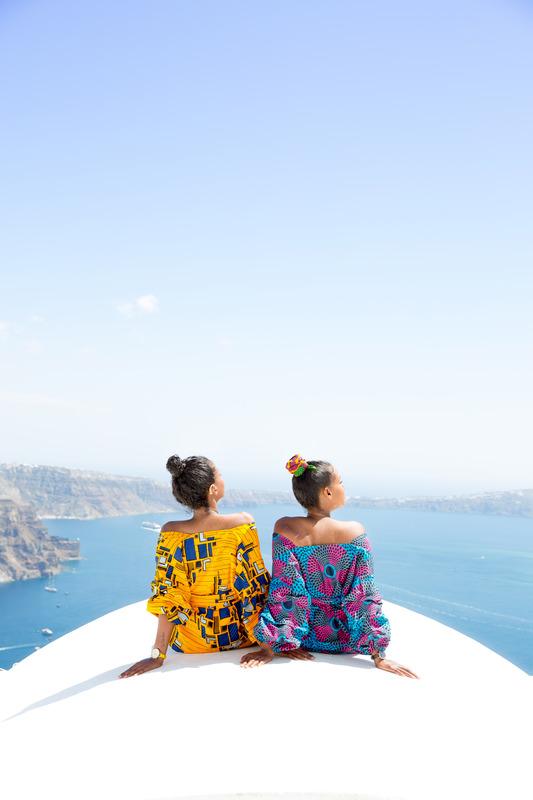 Finally, we made a stop on one of our bucket list destination in Santorini, Greece. There is no other word to describe this place other than magical. 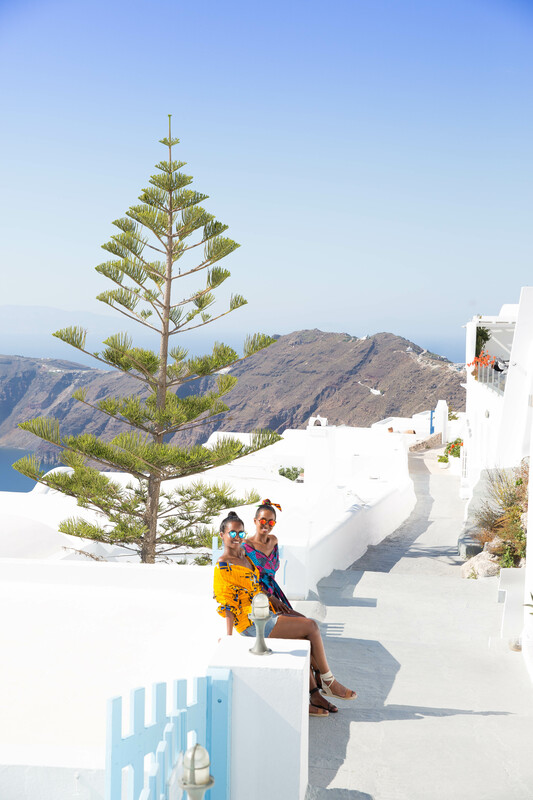 Imergrovigli is the quietest town along the caldera and has the island’s best sunset views and everything else! It is a perfect spot for taking pictures and it is so romantic. 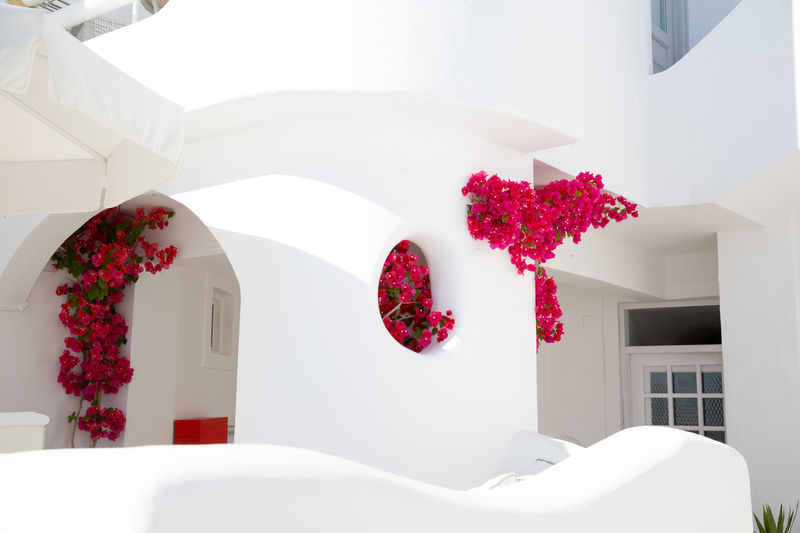 It is not far from the town, Firostephanie and Fira, about a 15-20 minutes walk. 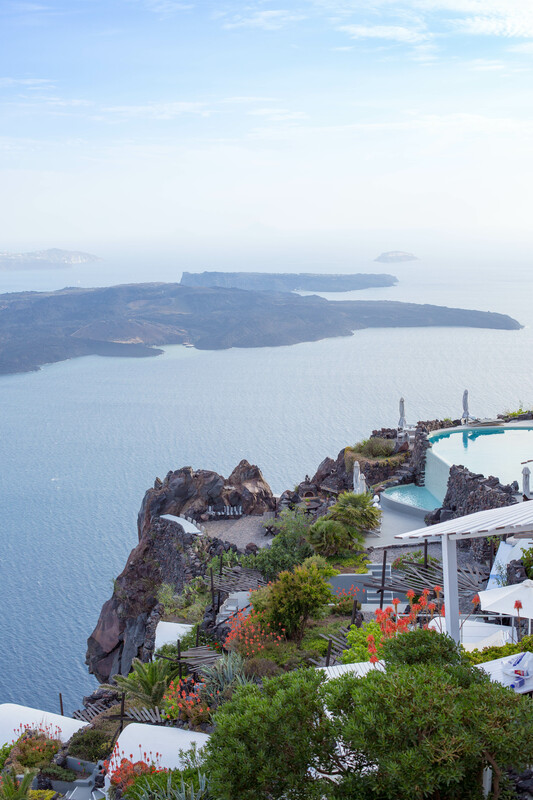 We stayed Zenith Blue Hotel in a family cave suite with Panoramic Caldera and Volcano views private terrace, this was a tremendous view. The room was great and the breakfast was included but it wasn’t as great as we hoped. 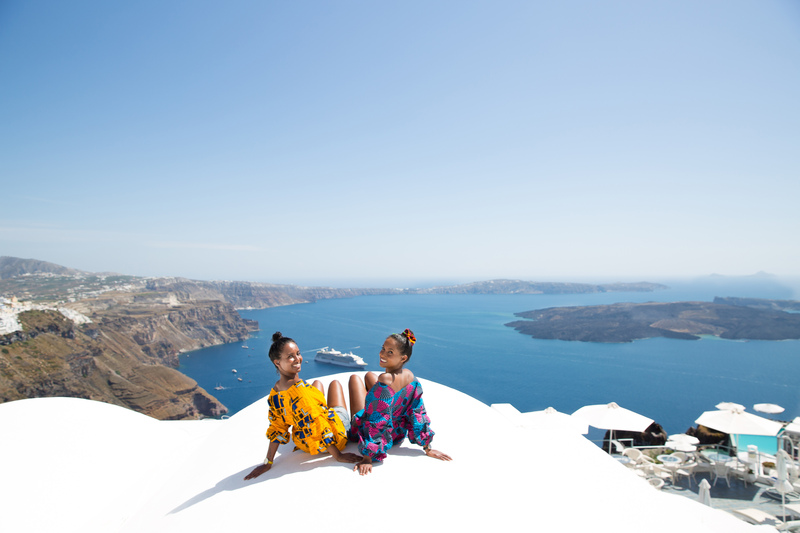 This was overall an amazing location, one of the best views on the entire island. 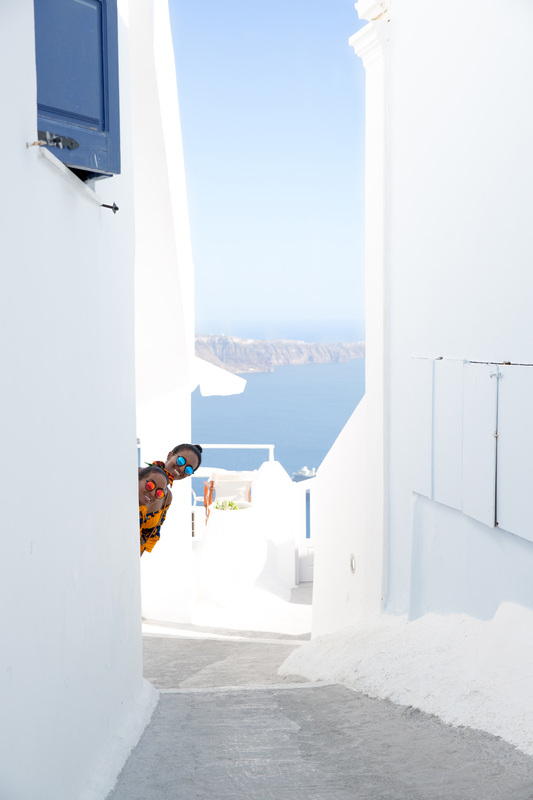 We wanted to explore this area in Imergrovigli and find out what’s out there. It was very peaceful to walk around with lots of hidden gem along the path and there were no tourists at all! However, there’s one place you must visit – Skaros Rock. A place to enjoy the silence, nature and the wonderful view we doubt you’ve seen before. This probably had one of the best sunsets in town. 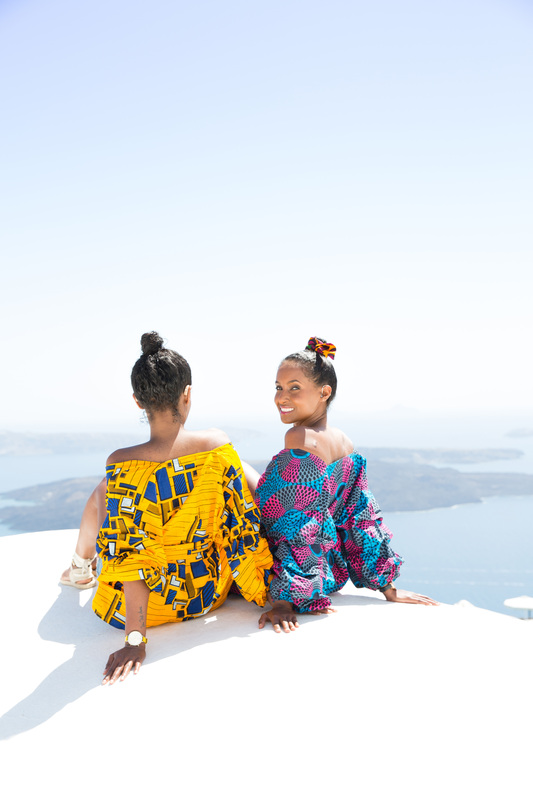 We’re pleased to be a brand ambassador for Maureen Ayite, Nanawax from Africa. 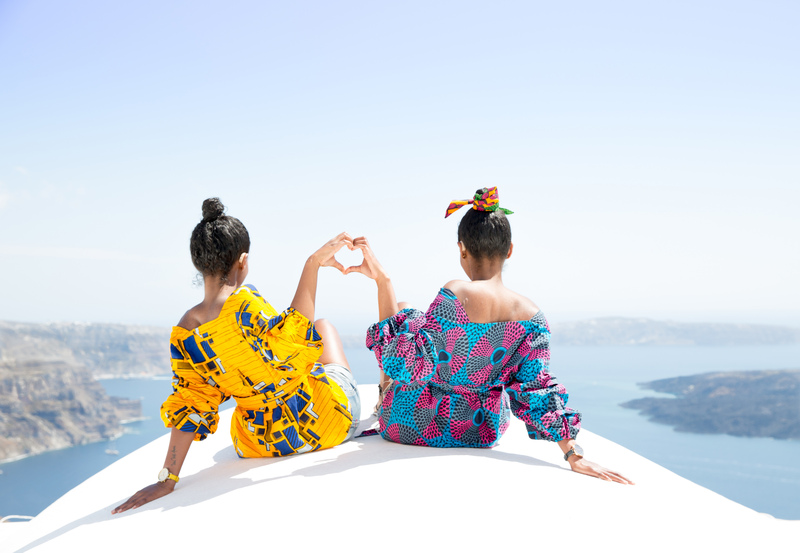 Nanawax is the ready to wear brand and they’ve got a beautiful collection which is African print with a modern twist, which we LOVE!. 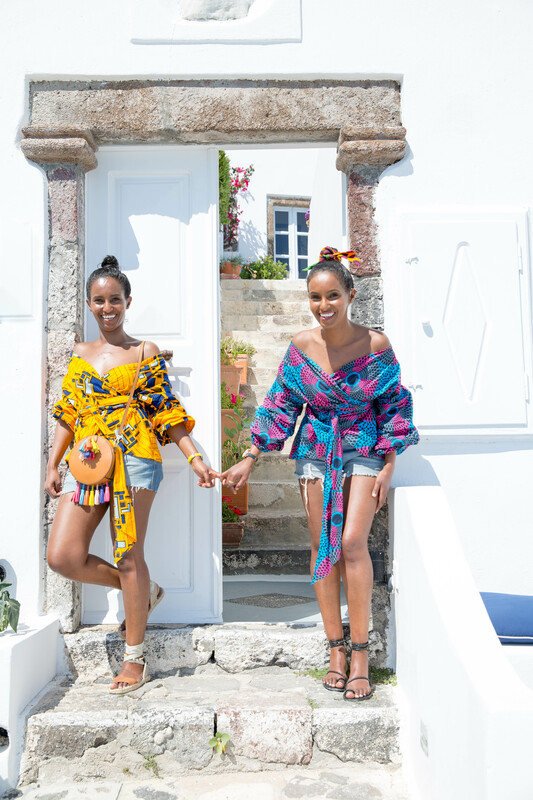 We’re wearing a very colourful and gorgeous print top with the wrap belt, that you can wear in two ways, off the shoulder and v-neck. We admire Maureen because she supports deaf community and knows the sign language. Stay tuned for Oia and Fira! 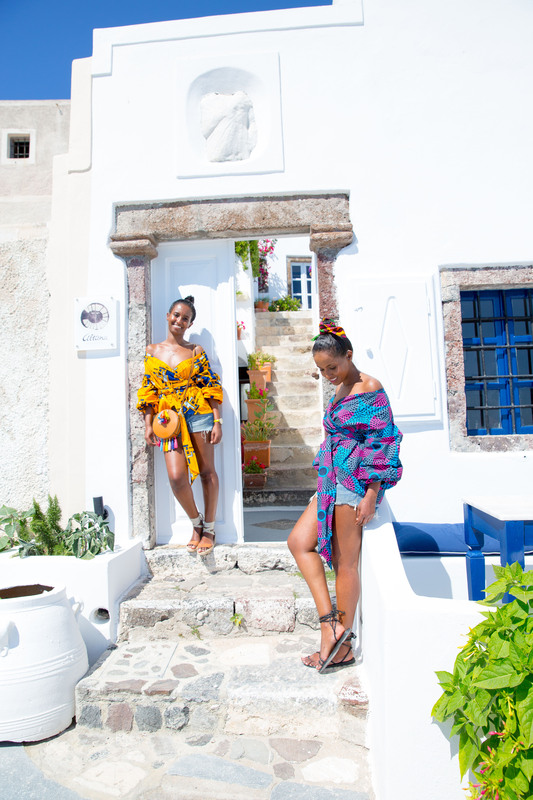 Previous Post Being Her First VLOG – British Sign Language Alphabet Challenge in Mykonos, Greece. 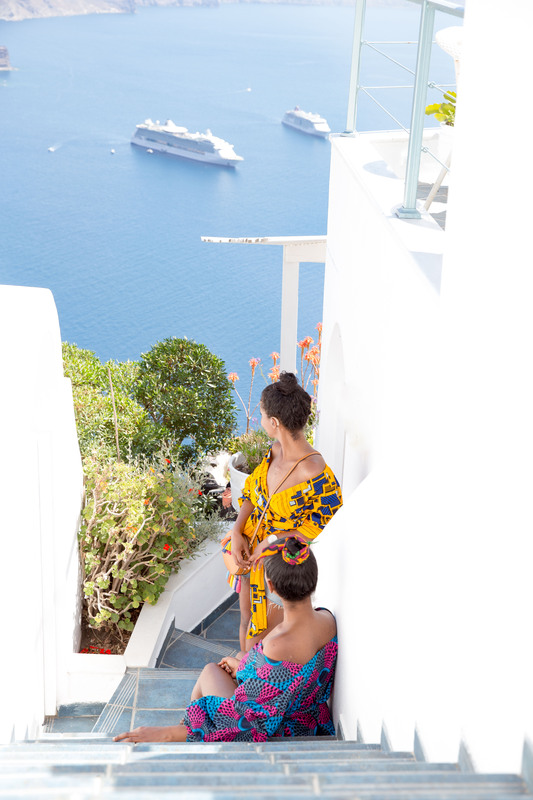 This Santorini post and you both blew me away! Never see you before – in awe momentarily! I was at Santorini in 1981. Just viewed your video introducing yourselves. I know deaf Eriterians living in Bay Area. Sending you much good wishes in your endeavours! If you come to Los Angeles area, let me know! An amazing post with such incredibly vibrant pictures!! Loved it.